“The business community in Nanaimo has been truly welcoming to us.” Leah Tremain. Tremain Media is a full-service media and marketing company here on Vancouver Island. They opened up their Nanaimo office less than 12 months ago, and were recently awarded the 2018 Best New Business Award at the Nanaimo Chamber of Commerce Business Awards. Tremain Media started as an educational film company in 2001, creating videos in the areas of literacy, numeracy, play-based learning, and educational theory. Leah Tremain, founder and CEO, holds a Masters degree in curriculum and instruction with a focus on educational-video. “We sold 68,000 DVDs across North America. We had products in every British Columbia public library, as well as homes and schools,” she says. “Then it all kind of broke down.” Between 2006 and 2008, two major disruptions occurred – a new startup, Youtube, made its way into classrooms and drastically shifted the educational market, and the country was hit by an economic recession. The world of video was suddenly turned on its head, and it brought down all of the video competitors in Tremain Media’s headquarter city of Campbell River. Tremain Media was the only media company left standing; they survived by diversifying their media offerings and building strong relationships with a diverse range of clients. Today, Tremain Media is thriving. Their team of experts specializes in video, web, print, social media marketing, digital marketing and time-lapse services. The distributed workforce model plays a role in how Tremain Media, a Campbell River company for 17 years, founded their first expansion office in Nanaimo less than 12 months ago. Elizabeth Crum had moved to Nanaimo in the summer of 2016, and began working as a freelance writer with Tremain Media. She also contributed to the development of a November 2017 workshop for business owners, helping them to navigate the world of content marketing on social media platforms. After the workshop, Leah asked Elizabeth if she would be interested in helping Tremain Media grow into the Nanaimo business community. Elizabeth is now the Regional Creative Director for Tremain’s Nanaimo office. “Tremain has actually been doing work in Nanaimo since 2012,” Leah explains. “We did some really great projects with School District #68, as well as the City of Nanaimo. We loved our time there, and Nanaimo has been on my mind ever since.” In addition to previous work, Leah says that Nanaimo has an outlook that is similar to Campbell River, in that it remains true to its industrial roots, and that the company is excited to move forward with new clients that represent the past, present and future of Nanaimo as a community. In the few short months since they announced that they were open for business, Tremain Media has been busy meeting colleagues and getting to know Nanaimo better. They’ve already completed a number of projects and have built relationships with key institutions such as Vancouver Island University and the Nanaimo Chamber of Commerce. 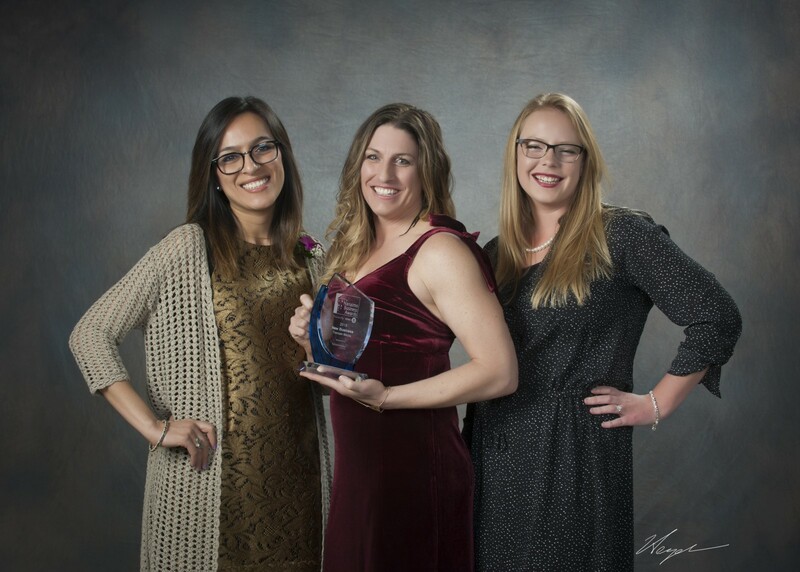 On April 26, Leah and Elizabeth accepted an award for Best New Business 2018 at the Business Awards from the Nanaimo Chamber of Commerce. Tremain Media continues to do work with provincial client’s such as BC Hydro, Western Forest Products, the Ministry of Education, Open School BC and SNC Lavalin as well as working with mid-sized businesses in both Campbell River and Nanaimo. Leah has high hopes for what’s coming next.